P.C. Chandra Jewellers comes up with a Diva Hunt named ‘Gold Lites Diva Contest’ in 2013 for selecting the next face for P.C. Chandra Jewellers. Do you want to register yourself in Gold Lites Diva Contest of P.C. Chandra Jewellers? Do you want to become the next face of P.C. Chandra Jewellers? Let’s check out few details about P.C. Chandra Jewellers Gold Lites Diva Contest 2013 and participation (registration) procedure. P.C. Chandra Jewellers presents 2013 Gold Lites Diva Contest in association with t2 Magazine and 93.5 Red FM. P.C. Chandra Jewellers is one of the trustworthy & popular names of Jewellery Industry and having the largest jewellery chain in Eastern India. Many glamour divas (models) have been the face of P.C. Chandra Jewellers over the years like Indrani Dasgupta, Yami Gautam, Kritika Kamra etc. Many new faces started their modelling career by utilizing the chance of becoming the Face of P.C. Chandra Jewellers. 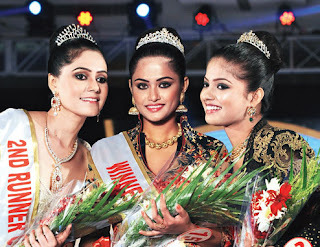 Only female candidates, aged between 18 to 25 years with self believe & self confidences to becoming the next Golden Diva, are eligible to register themselves for 2013 Gold Lites Diva Contest of P.C. Chandra Jewellers. How to register in 2013 Gold Lites Diva Contest of P.C. Chandra Jewellers? The registration process of 2013 Gold Lites Diva Contest of P.C. Chandra Jewellers is going on and the Last date for Online Registration Process is 25th January 2013. It means, only few days left to participate in 2013 Gold Lites Diva Contest of P.C. Chandra Jewellers. To complete the online registration process of 2013 Gold Lites Diva Contest of P.C. Chandra Jewellers; you should visit http://apps.facebook.com/goldlitesdiva/ website as soon as possible and requiring submitting your photo & few details. A panel of judges will then select & groom the selected applicants. And later on, the contestant having the unique combination of beauty, brains & glamour will become the new face who will perfectly complement the exquisite creations of P.C. Chandra Jewellers. 2013 Gold Lites Diva Contest of P.C. Chandra Jewellers is the golden opportunity for aspiring models. So hurry on & register yourself now. For further details please write your queries to goldlitesdiva@pcchandraindia.com. 2013 Diamond Utsav venue location details, Diamond Utsav P.C. Chandra Jewellers Showrooms starting ending date schedule timings, Diamond Utsav P.C. Chandra Jewellers Showrooms features facilities, Diamond Utsav P.C. Chandra Jewellers Showrooms entry ticket price, about Diamond Utsav P.C. Chandra Jewellers Showrooms 2013. Diamond Utsav is going on at every Jewellery Showrooms of P.C. Chandra Jewellers in Kolkata, West Bengal & in India from 14th January 2013. Let’s check out the Diamond Utsav P.C. Chandra Jewellers Showrooms 2013 details like schedule of Diamond Utsav, venue of Diamond Utsav, entry timings of Diamond Utsav etc. • Diamond Utsav P.C. Chandra Jewellers Showrooms Date Schedule: - 14th January 2013 to 2nd February 2013. • Diamond Utsav 2013 P.C. Chandra Jewellers Showrooms Entry Timings: - as per the P.C. Chandra Jewellers Showroom timings. • Entry Ticket price of Diamond Utsav P.C. Chandra Jewellers Showrooms 2013: - Free entry for all. • Diamond Utsav P.C. Chandra Jewellers Showrooms 2013 Venue & Location address: - Diamond Utsav of P.C. Chandra Jewellers is valid at all Jewellery Showrooms of P.C. Chandra Jewellers located in Kolkata, West Bengal & in India. • Diamond Utsav P.C. Chandra Jewellers Showrooms 2013 Organizer details: - P.C. Chandra Jewellers. • Details of Diamond Utsav P.C. Chandra Jewellers Showrooms 2013: - P.C. Chandra Jewellers organizes 2013 Diamond Utsav like they did in every previous years to showcase latest designed Diamond Jewellery with exclusive Discounts & Offers at every showrooms of P.C. Chandra Jewellers across India. The 2013 Diamond Utsav of P.C. Chandra Jewellers will end on 2nd February 2013. This time, P.C. Chandra Jewellers is offering magnificent 7% Discount on Diamond value during Diamond Utsav along with assured gifts with every purchase of Diamond Jewellery from P.C. Chandra Jewellers Showrooms. These are the P.C. Chandra Jewellers Showrooms located across India - P.C. Chandra Jewellers Showroom of Kolkata [Bowbazar (033-22277272), Gariahat (033-24618680), Chowringhee (033-22238062), Golpark (033-24645304), Ultadanga (033-23554747), Barasat (033-25843093)], P.C. Chandra Jewellers Showrooms of West Bengal [Serampore (033-26526413), Asansol (03512-256558), Berhampore (03482-259066), Burdwan (0342-2569652), Cooch Behar (03582 228301), Durgapur (03432588121), Malda (03512256558), Midnapore (03222261996), Siliguri (03532532194), P.C. Chandra Jewellers Showroom Delhi (011-40616364), P.C. Chandra Jewellers Showroom Bengaluru (080-49344444), P.C. Chandra Jewellers Showroom Bhubaneswar (0674-2380887) and P.C. Chandra Jewellers Showroom Agartala (0381-2326666). For further details on 2013 Diamond Utsav of P.C. Chandra Jewellers please visit www.pcchandraindia.com website. You all are advised to attend the P.C. Chandra Jewellers Showrooms during Diamond Utsav 2013 to avail exclusive offers & discounts and gifts. P.C. Chandra Jewellers presents unconditional-8 Diamond Utsav 2012 where everyone can buy Diamond Jewelries with flat 8% discounts and could win free diamond jewelleries through lucky draw. • Diamond Utsav P.C. Chandra Jewellers Kolkata & Bengal 2012 Date Schedule: - 18th January 2012 to 4th February 2012. • Diamond Utsav P.C. Chandra Jewellers Kolkata & Bengal 2012 Venue & Location address: - Diamond Utsav 2012 of P.C. Chandra Jewellers is available at all Jewellery Showrooms of P.C. Chandra Jewellers in Kolkata, Bengal & outside. • Diamond Utsav P.C. Chandra Jewellers Kolkata & Bengal 2012 Organizer details: - P.C. Chandra Jewellers (toll free phone number – 1800-419-7225). • Features, Facilities, Availabilities of Diamond Utsav P.C. Chandra Jewellers Kolkata & Bengal 2012: - P.C. Chandra Jewellers presenting D’Elite Diamond Collections in 2012 Diamond Utsav where you can get flat 8% discount on Diamonds and also you may win Diamond jewelries through lucky draw. This exclusive Diamond Utsav 2012 of P.C. Chandra Jewellers is going to end on 4th February 2012 and this is why all P.C. Chandra Jewelers Showrooms will remain open in Sundays as well during this period. Search Tags: Diamond Utsav venue location details, Diamond Utsav P.C. Chandra Jewellers Kolkata & Bengal starting ending dates schedule timings, Diamond Utsav P.C. Chandra Jewellers Kolkata & Bengal features facilities details, Diamond Utsav P.C. Chandra Jewellers Kolkata & Bengal exhibition entry timings ticket charge Diamond Utsav P.C. Chandra Jewellers Kolkata & Bengal 2012. Accountant Data Entry Operator Jobs Recruitment Vacancy 2011 P.C. Chandra Jewellery Kolkata Kolkata Bengal Howrah Hooghly Online application Procedure Apply Date Schedule Interview Timings Accountant Data Entry Operator 2011 Jobs Recruitment P.C. Chandra Jewellery Kolkata Eligibility Criteria Pay Scale job location 2011 jobs recruitment Accountant Data Entry Operator P.C. Chandra Jewellery Kolkata. P.C. Chandra Jewellery Kolkata invites application from the eligible candidates for the 2011 Recruitment of Accountant Data Entry Operator and the details as follows. • Accountant Data Entry Operator Recruitment Vacancy 2011 Job Location: P.C. Chandra Jewellery Apex Private Limited Kolkata. • Name of Vacant Posts 2011 Recruitment of P.C. Chandra Jewellery Kolkata: Junior Accountant, Accountant, Data Entry Operators. • Accountant Data Entry Operator 2011 Job Interview Venue Address of P.C. Chandra Jewellery Kolkata: P-37A, CIT Road, Kolkata-14. • Eligibility Qualification Criteria Parameters for Accountant Data Entry Operator 2011 Jobs Recruitment of P.C. Chandra Jewellery Kolkata: Accountant - B.Com/M.Com | Data Entry Operator - Graduate. • Age Limit / Job Experience requirement for Accountant Data Entry Operator in P.C. Chandra Jewellery Kolkata: Accountant - 4-5 years. | Data Entry Operator - 2-3 years. • Interview Last Date Schedule for Accountant Data Entry Operator 2011 Jobs Recruitment of P.C. Chandra Jewellery Kolkata: Apply within 20th April 2011. • Where How to Apply Process of Accountant Data Entry Operator 2011 Jobs Recruitment in P.C. Chandra Jewellery Kolkata: Applications with detailed resume should be sent to above-mentioned address in sealed envelope superscribing the post applied for or email at soma_hr@pcchandra.net. Don’t forget to Apply within the scheduled date for the 2011 Accountant Data Entry Operator jobs in P.C. Chandra Jewellery Kolkata and to brighten your professional career. A jewel of Jewels P.C. Chandra Jewellers Kolkata Jewellery Showroom has announced the biggest Diamond Utsav 2011 in Kolkata where P.C. Chandra Jewellers provides the assured attractive gifts and prizes to every customer who purchase Diamond Jewellery and also can win mega prize worth Rs. 1 Million during 2011 Kolkata Diamond Utsav presented by P.C. Chandra Jewellers Kolkata. • Sponsor Organizer of 2011 Diamond Utsav Kolkata: P.C. Chandra Jewellers to present D’Elite Diamond Collections. • 2011 Diamond Utsav Kolkata is available only at P. C. Chandra Jewelers Showroom Bowbazar( 22277272), Gariahat (24618680), Chowringhee (22238062), Golpark (24645304), Ultadanga (23554747), Barasat (25843093) and other P.C. Chandra Jewellery Showroom in Kolkata and across Bengal.